Lovely Retro Style Apron Pattern. 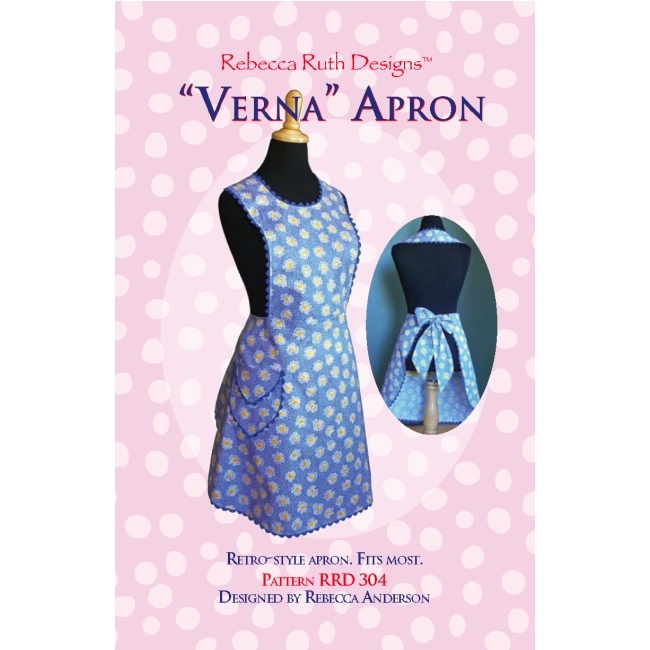 The Verna Apron Pattern is lovely retro style apron design from Rebecca Ruth Designs. Coordinating rick rack adds to the '30s retro style appeal. This apron pattern includes options for personalizing your apron and/or making a reversible apron. Includes full size pattern pieces printed on quality white paper stock. Apron pattern includes Woman's sizes Medium and Large. Fits Most. Includes complete instructions with color illustrations. Designed by Rebecca Anderson.